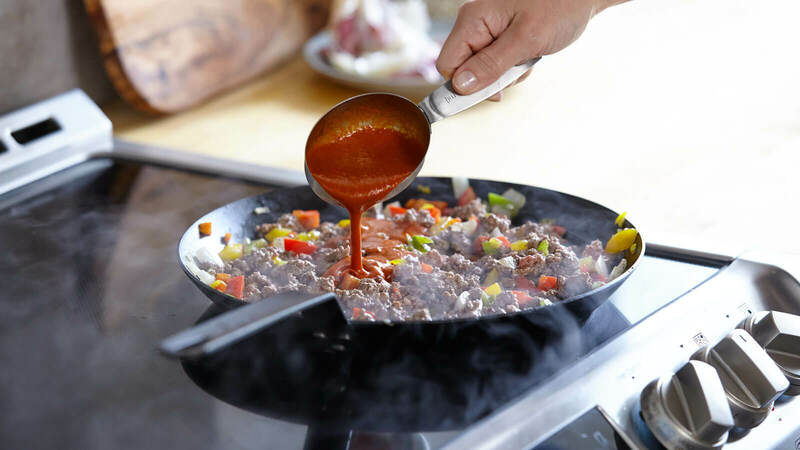 Heat oil in a large skillet over medium high. 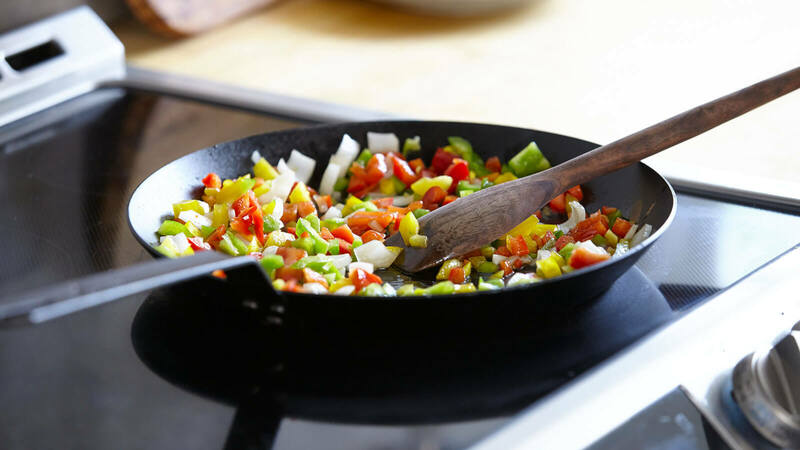 Add vegetables and cook until beginning to soften, about 5 minutes. 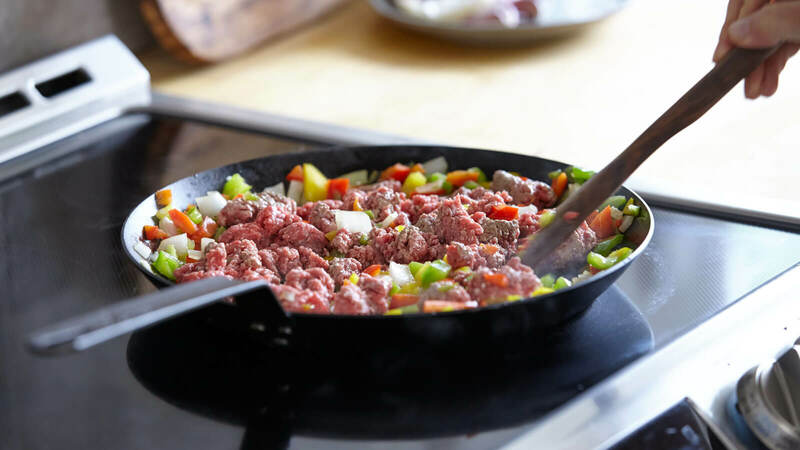 Add beef and continue to cook, breaking beef into small pieces, until vegetables begin to brown and meat is cooked through, about 8 minutes more. 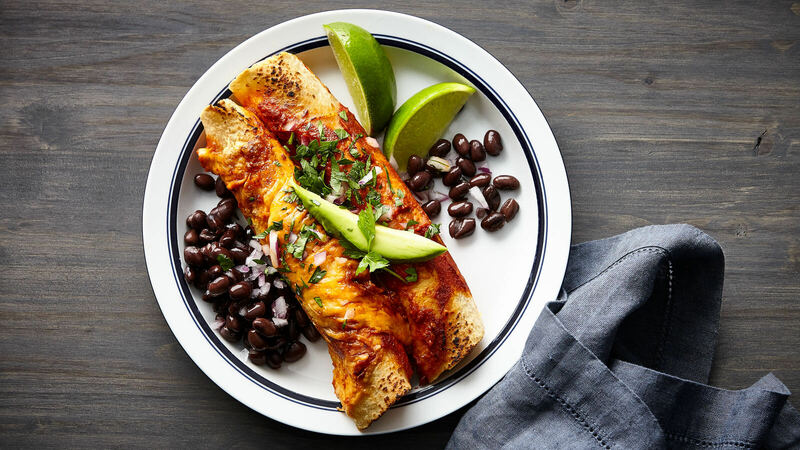 Add ½ cup Frontera Red Chile Enchilada sauce and bring to a simmer. 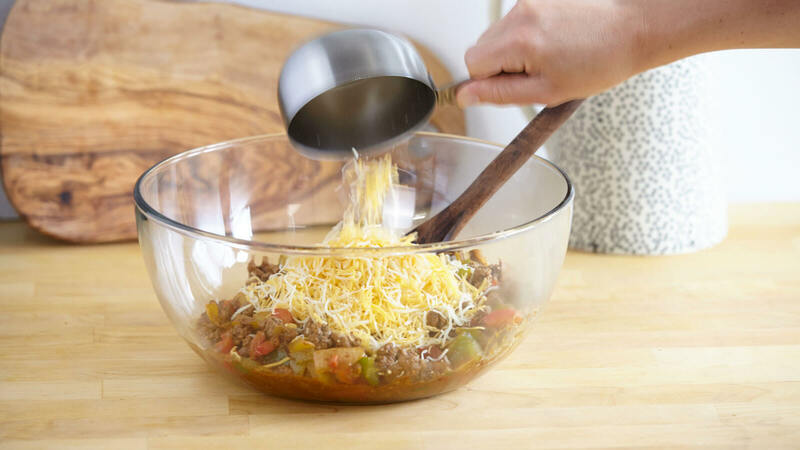 Remove from heat and pour into bowl. Stir in 1 c. cheese until melted. 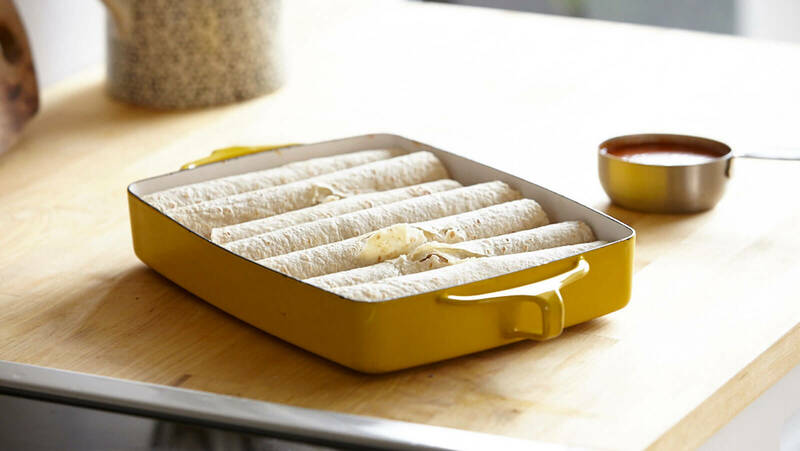 Spoon about ⅓ cup beef mixture into each tortilla, roll and place seam side down in a lightly greased baking dish. 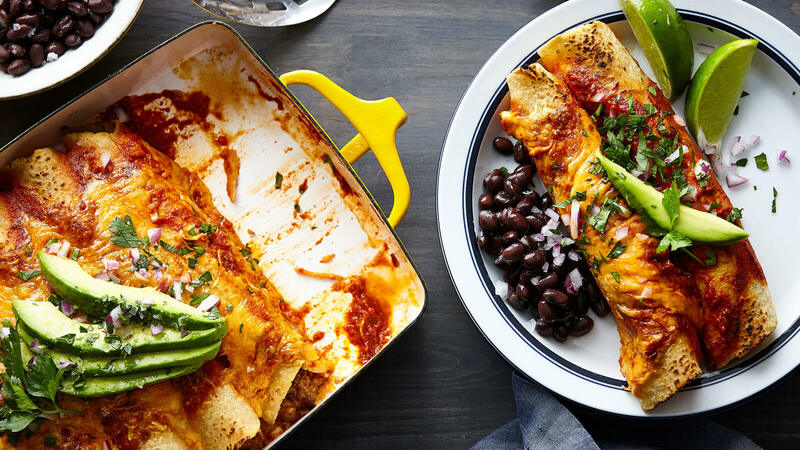 Pour remaining enchilada sauce over tortillas. Top with remaining cheese. 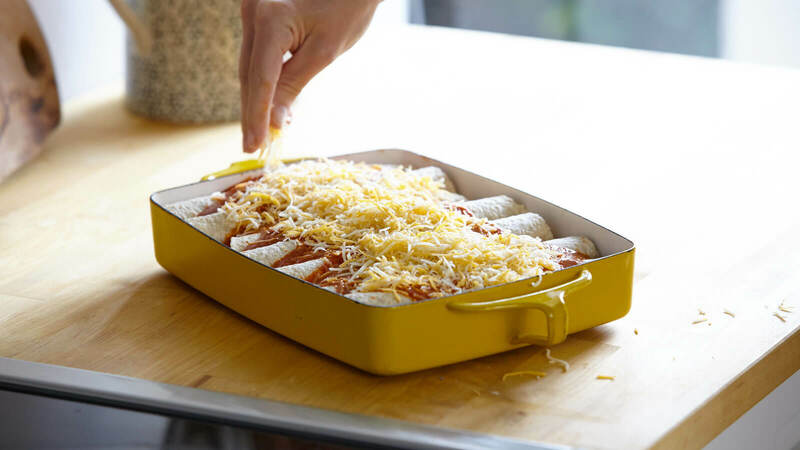 Bake until cheese is melted and mixture is bubbly, about 10 minutes. Serve with desired garnishes and beans.